 Industrial Clutch Parts Ltd. supply a complete range of Goizper Wet Clutch-Brakes. A multi disc clutch-brake activated pneumatically and oil-cooled. Goizper Oil-Pneumatic Clutch-Brake Series 5.W has been manufactured to provide a high frequency of engagements and a long service life. Industrial Clutch Parts Ltd. holds stock of a complete range of Goizpers Multi Disc Clutch-Brake 5.W Series. The Oil-Pneumatic Clutch-Brake activated pneumatically and oil-cooled. Manufactured to combine the activation of the pneumatic clutch with the cooling capacity of the hydraulic clutches. As a result, Goizpers 5.W Series Clutch-Brake provides high frequency and long life operations. The cooling element depends on the energy dissipation required by the application. Goizper 5.W Series allow for cooling to be forced through an exterior circuit.